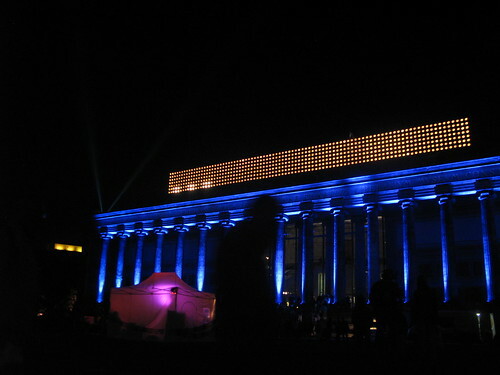 Last night I went to the 25th annual Long Night of Museums in Berlin, where over 125 museums, galleries and archives are open until the early hours of the morning for live music, films and talks. As well as some Javanese gong music and a rendition of Philip Glass’s Dance 2 in the Berliner Dom, I went to an exhibition in the Altes Museum about a new cultural institution which will be housed in the reconstructed Berlin City Palace. The Humboldt Forum exhibition, which opened last month, presents the vision for the forum from its three main users: the Staatlichen Museen zu Berlin, the Humboldt Universität zu Berlin and the Zentral- und Landesbibliothek Berlin. The concept of a knowledge theatre as conceived by Gottfried Wilhelm Leibniz with regard to the Kunstkammer of the Berlin Palace is fundamental. For Leibniz, this collection, which marked the origin of Berlin’s museums, was a site that unified universally oriented collecting and research, exhibition and spectacle. The second conceptual foundation of this unique project is constituted by the ideas of the Humboldt brothers: Their enlightening gaze at the cultures of the world as well as Wilhelm’s notions on education and museum-related politics. 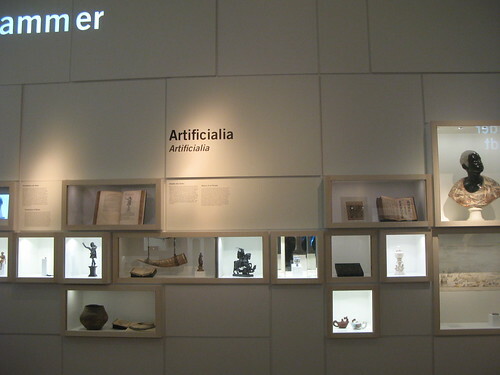 Finally, recollections of the rich tradition of ethnological collecting in 19th century Berlin that culminated in the establishing of the Royal Museum for Ethnology by Adolf Bastian in 1873 refer to the collection history of the material that will constitute a large portion of the exhibits in the newly constructed City Palace. 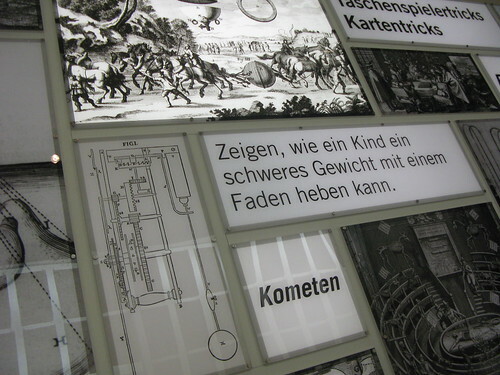 The first of these, Leibniz’s idea for a ‘new sort of exhibition’ is laid out in a short piece from 1695 called Drôle de Pensée, or ‘a funny thought’, which was written after he saw a machine which ‘walked on water’ at an exhibition in Paris. 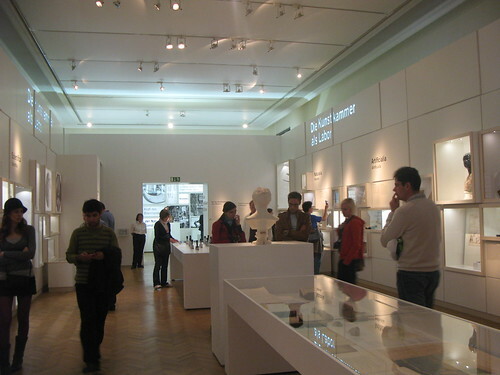 He says the exhibition would be a big undertaking, requiring significant capital and the assistance of ‘painters, sculptors, carpenters, watchmakers, […] mathematicians, engineers, architects, boat builders, fools, musicians, poets, bookbinders, typographers, engravers and others’, coordinated by two or three highly inventive directors. The piece goes on to describe the potential value of the proposed exhibition – saying it would stimulate and instruct people with beautiful and amazing sights. It would become a clearing house for all inventions and a theatre for all things that can be imagined (un theatre de toutes les choses imaginables). People would be awed and inspired, and the whole enterprise would have ‘good and important’ consequences. He then returns to the detail of the exhibition, suggesting it could be spread out across a city or in different rooms in a palace before going on to discuss mirrors and pipes, dancing, pygmy ballets, fountains, lakes, sea battles, marionettes, shadows, somersaults, apparitions, small figures, and so on – all accompanied by music and singing. 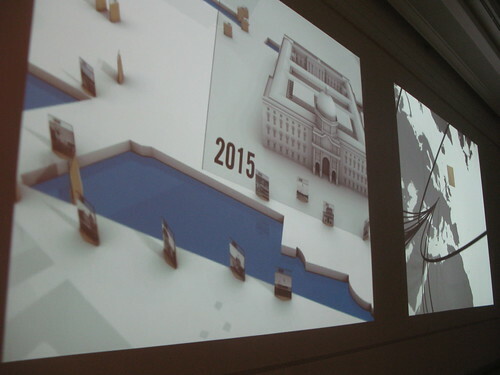 If its anything like Leibniz’s vision the new Berlin palace sounds like it will be incredible. A commentable version of the French text with notes in English – possibly towards a new (freely distributable) translation. 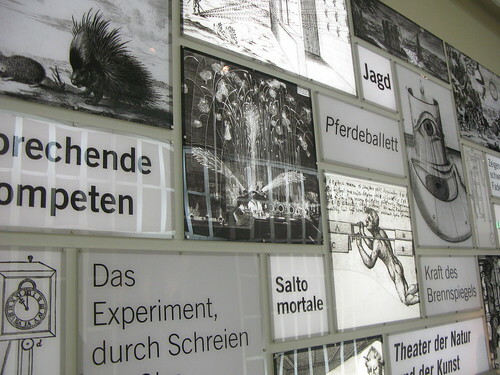 Ludger Schwarte and Jan Lazardzig’s Collection, laboratory, theater: scenes of knowledge in the 17th century – in particular pp. 268ff. This entry was posted in events, intellectualhistory, leibniz, philosophy. Bookmark the permalink. Comments are closed, but you can leave a trackback: Trackback URL. I’m looking forward to it. Especially that new useful game. Will it be Sudoku, do you think?